This year’s frigid temperatures have led to ice conditions that have not been seen in the Great Lakes or Eastern Canada in decades, which are having a direct adverse impact on Canadian products reaching domestic and international markets. The Government and the Canadian Coast Guard have made an important decision to re-assign additional Coast Guard resources to the Great Lakes, to ensure that Canadian products, resources and agricultural goods get shipped to market. It is our firm belief that our economy, jobs and competitiveness depend on our ability to get our product into the marketplace. With the worst ice in decades seen on the great lakes and St Lawrence seaway system, Quebec Based Icebreakers Martha L Black and Pierre Raddison inland of Montreal, Halifax Based Edward Cornwallis, Sir William Alexander, and Earl Grey working in Newfoundland, and 3 of the largest icebreakers in the fleet in Halifax (Louis St Laurent, Terry Fox and Henry Larsen), could the 3 currently in halifax be bound inland? I have heard reports of 30-40″ thick ice in the river, so more horse power may be required. 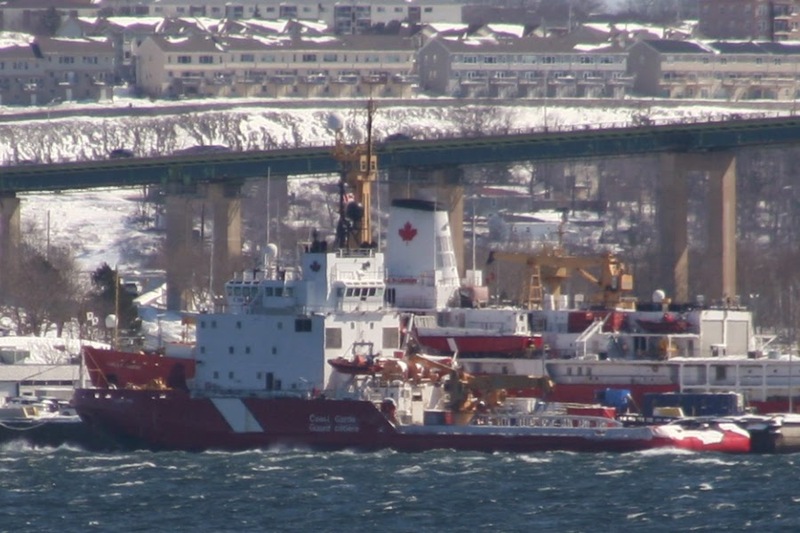 (Top) CCGS Terry Fox at BIO (Above) CCGS Henry Larsen at Dartmouth Coast Guard Base. 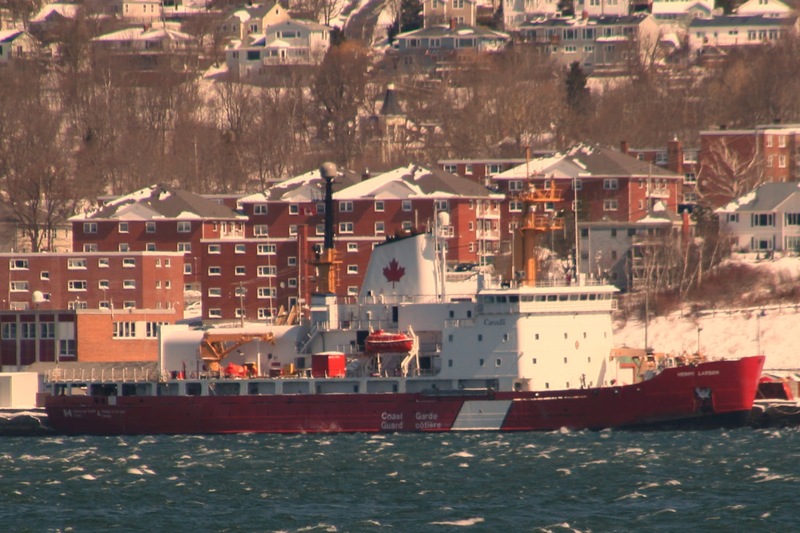 This entry was posted in CCGS, Icebreaking on March 26, 2014 by Peter Ziobrowski.